When buying real estate, it is important to understand the property value. Both investors and owner occupants are interested in finding out what their property is worth. Fundamentally, this warrants a knowledge and an understanding of home values. Since we are in the internet age, is it really as simple as pulling up the property on a number of websites? There are a multitude of different sources for accessing property value. Each method of evaluating property value has its own role to play, even though these accessed values rarely agree. As with any other product, there are wholesalers, retailers and passive purchasers. 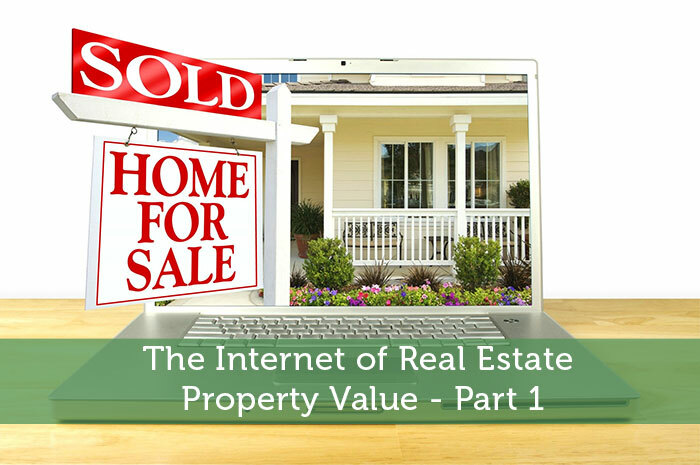 In this first part of the series, we will discuss how to determine the face value for a parcel of real estate. Real estate investors tend to be value investors, so in the second part of this series we will explore intrinsic value and long-term ROI potential that comes from income-producing real estate. Depending on where you fall within the real estate ecosystem, a different value may be most appropriate. A real estate appraisal is a professional estimation of how much a property is currently worth. Lending institutions such as banks, credit unions and mortgage companies typically require an appraisal before lending funds to purchase a property. Sales Comparison Approach – will review comparable properties, which are similar homes from recent active listings and sales closed. Cost Approach – this process estimates the separate values of the building and improvements, the land, and the cost to replace and rebuild the structures. Income Capitalization Approach – this method is used mostly for investment real estate. The value of the property is determined by factors such as rate of return and ability to produce income. Property types include apartment buildings, office buildings, retail, warehouse, etc. These words have been spoken by many unsuspecting property owners. When considering what price to list their property or what’s a reasonable purchase price, many individuals rely on this website. Zillow.com has the mission to “build the world’s largest, most trusted and vibrant home-related marketplace” and become one of the go to websites to research real estate property values. Zillow is a good starting point, but should be taken as a rough estimate. The pricing provided by the platform often differs significantly from the professional appraisal and the appraiser and lending institutions have yet to rely on Zillow to provide value estimations for loans. How does Zillow determine property values? The Zestimate® home valuation is Zillow’s estimated market value, computed using a proprietary formula. Again, even though the estimate is based on quantitative algorithms, it is not an appraisal. It is a starting point in determining a home’s value. The Zestimate is calculated from public and user-submitted data, taking into account special features, location, and market conditions. Similar to Zillow, Chase bank offers the Chase Home Value Estimator which offers a free estimated market value of a property. They calculate their best estimated home valuation using the millions of home records in their database. As with any data aggregation site, Chase warns that the accuracy of the estimate is base don available data and does not constitute an appraisal, nor should it be relied upon in place of an appraisal. Before platforms such as Zillow and Trulia, in the age of noisy neighbors, people relied on transfer history available through public records to learn and determine property values. Your local county auditor or tax assessor’s office is most likely where the real estate and property records are kept. This is the office which assesses and bills for property taxes. Whatever municipal county you reside in will be the place to search. Most counties also require rental property to be registered. It’s critical to rely on creditable data. One of the benefits to relying on a professional appraiser and their appraisal is the industry and professionals are highly regulated. The internet provides easy access to platforms which are there to help better inform you as a consumer. Being able to instantly access data is great but should be included in a in the context of other forms of due diligence. Property values are highly influenced by local and national housing markets. Yes navigating through the countless online real estate websites can be difficult. Nice blog post John, and thanks for the advice. Thanks for the feedback Andrew! Be sure to check back for part two. We’ll explore intrinsic value and long-term ROI potential that comes from income-producing real estate.